During one of my MBMS trainings last month in Anritsu, i set everyone a task of defining a service based on MBMS. One of the services mentioned was Push to Talk (PTT) over MBMS. Theoretically it should be possible to use MBMS for PTT. The voice in the UL is sent via a normal CS RAB. On the Downlink the data is Broadcast using MBMS. Since we would like the data to be sent to a particular set of users, it would be Multicasted rather than Broadcasted. Also this would mean that only the users in a particular Service Area will be able to receive this. From operators point of view, Service Area should be big enough so that the user is seamlessly able to move a wide geographical area. At the same time it should not be too big because localised services (and adverts) can generate more revenue. participants are located geographically in the close proximity. 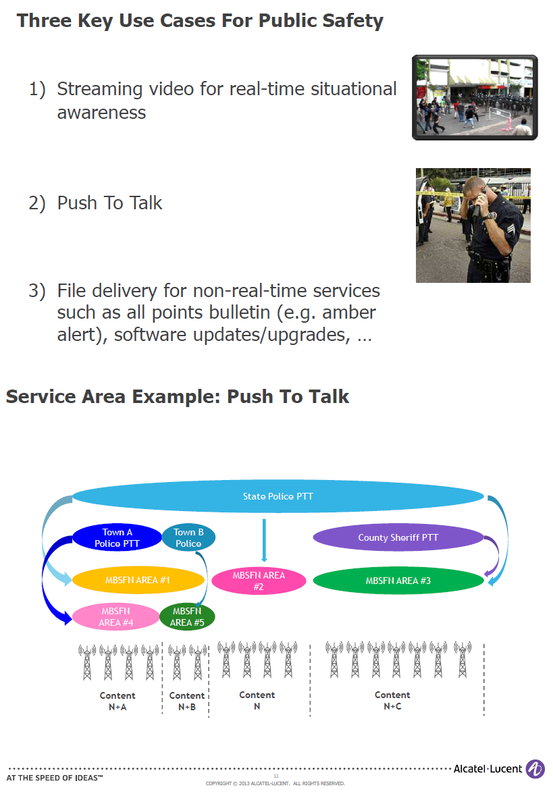 sport broadcast service, Push-to-Talk (PTT) service, and the like. In fact C-Mobile is working on something similar. One of their documents highlight the limitations of the current MBMS architecture and suggests how we can improve the architecture in future for B3G Architecture. My personal feeling is that till the Architecture is eveolved enough, PTT may not be very practical over MBMS but we should be able to use Push-to-share over MBMS. Some interesting short video clip or Breaking News Clip or maybe personal Valentine messages, etc can be shared using MBMS. It now needs to be seen if some operator picks on this idea and how soon.